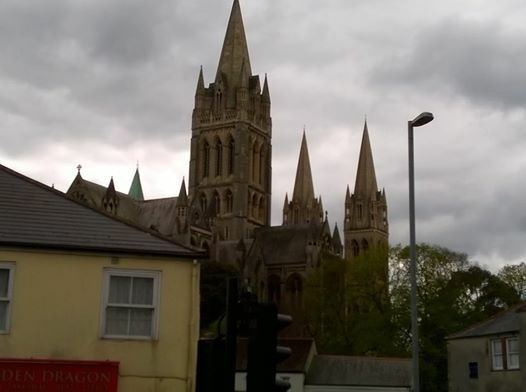 This is the first of a series of posts promoting my forthcoming book: Sh*t views of Truro Cathedral. Taken from the steps of Sunley Gymnastics I love this shot for the magisterial quality of street light more than for anything else. Street lighting that has selflessly illuminated hungry visitors making their way to the Golden Dragon for decades.